The text of this haunting, beautiful Orthodox hymn is Psalm 104. The lyrics are supplied, and a nice selection of the psalm is in today’s Scripture section. 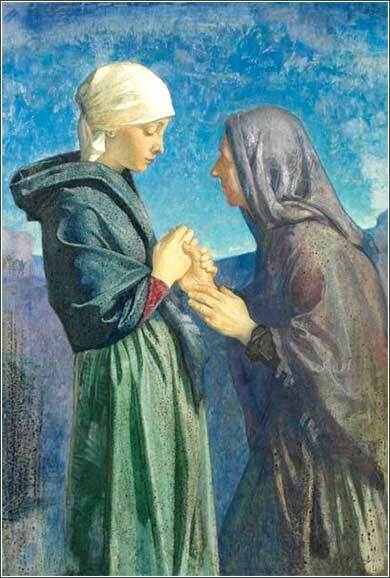 The Visitation by Dorothy Hawksley, ca. 1925. We missed this charming character study of Mary and Elizabeth during Christmas, due to an excess of good art available. Hawksley was a little-known British painter with a wonderful feel for the humanity of her subjects. The human mind is a tricky device, full of cunning to honor and glorify itself. We hear what we want to hear and see what we want to see, so often. If you have ever read a part of the Bible that disagreed with something you hold dear, or disproved some theory you had about God, or forbade conduct dear to your heart, you will have recognized this phenomenon in yourself. Your mind twists and turns to find a way around whatever it is you don't like, as resourceful as a teenager avoiding his homework. Yet that is exactly what happened. Their only reaction is “exceeding” sorrowOur emotions when we consider the murder of Christ are a complex subject, and I am not trying to say that feeling some degree of sorrow is wrong, or sinful. , which bespeaks an incomplete grasp of Christ's purpose and ignores completely the “raised up” part. 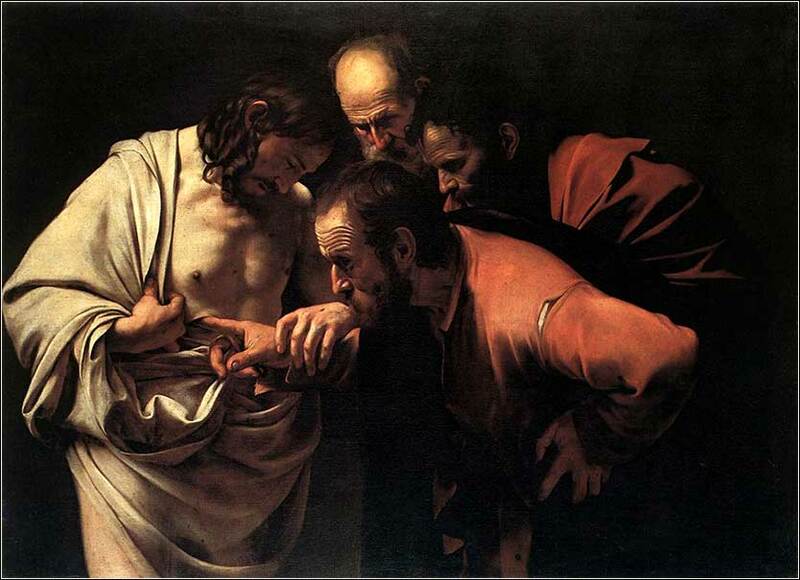 To love Christ truly is to accept his gift of salvation. To obey God is to accept his means of saving us.